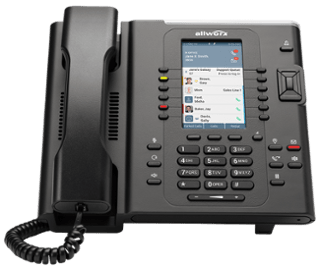 Allworx Phones | TriTec Communications, Inc.
We are a Allworx IP Telephone & Telephone Systems Authorized Dealer. Shop at Tritec Communications for Allworx Telephone Sales, Service & Installations. Allworx is an all-in-one VoIP communication platform that helps SMBs create a customized business phone system at an affordable price. A New Class of Mobile-First Business Phones. With a Verge IP phone on your desk and Allworx Reach™ app on your favorite mobile devices, you can talk in the office or on the go. Without missing a beat. Professional), and Verge IP phone. mobile device and Verge IP phone (via Reach). Integrated network switch with port mirroring. LET’S TALK ABOUT YOUR PROJECT. CONTACT US.